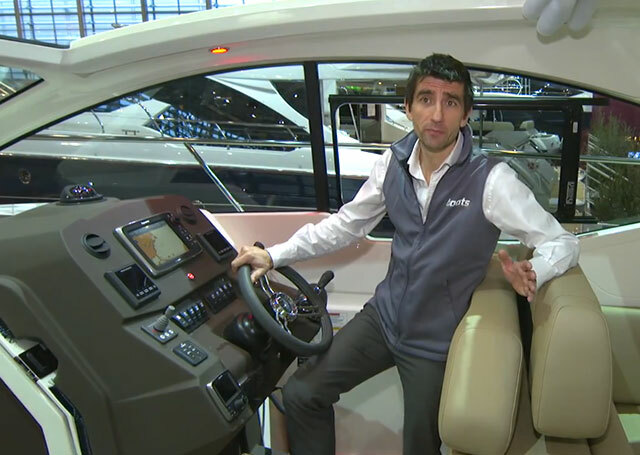 Having made its debut appearance at the Cannes Boat Show, the new Atlantis 34 is now the smallest boat in the range and the only Atlantis to come in at under ten metres. It marks a very welcome development and a suggestion that Atlantis now intends to resume its place in the small to medium powerboat sector. 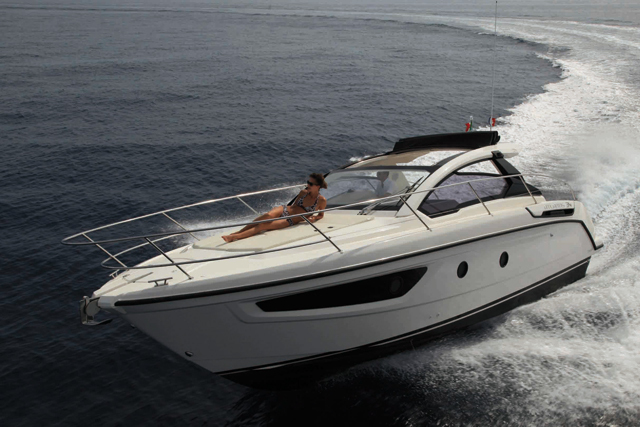 Designed to combine the merits of an open boat and a cruiser, this entry-level Atlantis makes both open external spaces and internal accommodation major priorities. 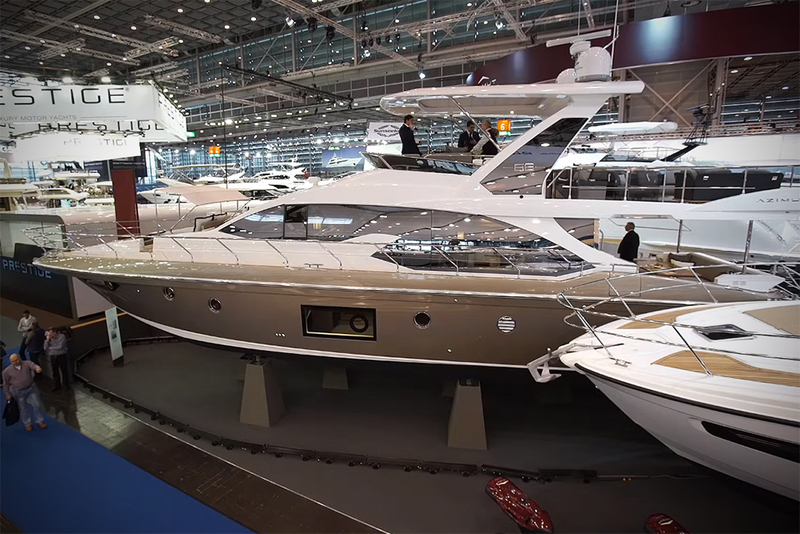 To that end, the generous master cabin is separated from the rest of the interior and the open bow space is both convertible and well-lit thanks to the hull’s large windows. 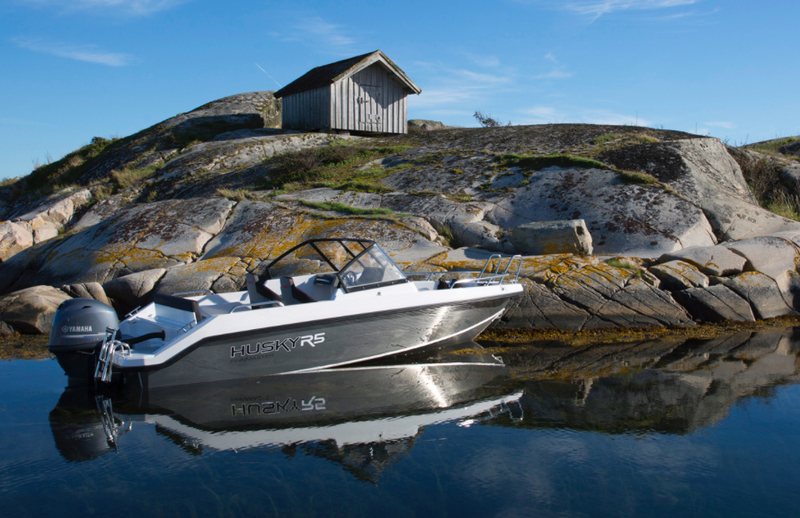 And despite offering four beds with a double cabin amidships and a convertible dinette, the two Volvo Penta D3 engines with Duoprop sterndrive enable the new boat to reach speeds of up to 32 knots and cruising speeds of around 29 knots. 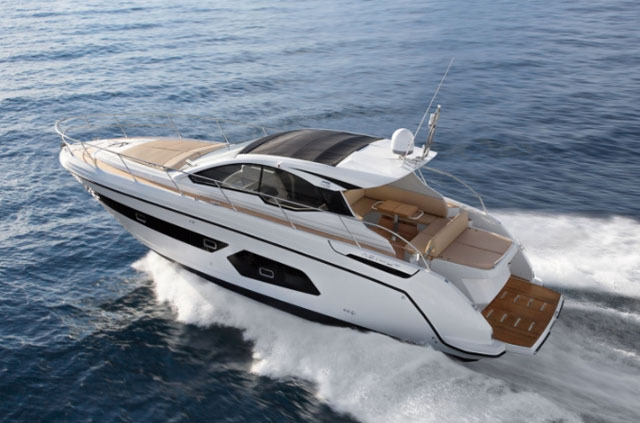 The exterior lines echo those of the larger models, with a substantial freeboard (taking up 60 per cent of the total elevation) and a very ‘muscular’ hull shape. 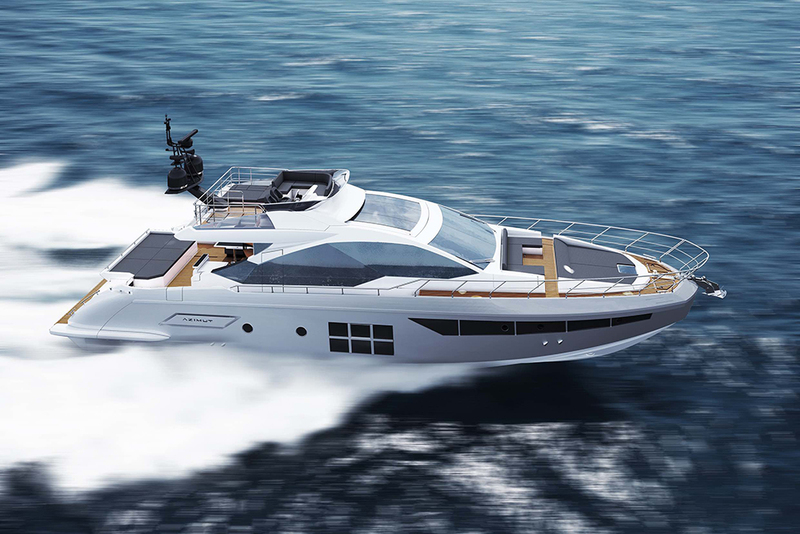 In terms of external features, you get a large swim platform designed to function both as a 2.5 square metre private beach and a tender launch. 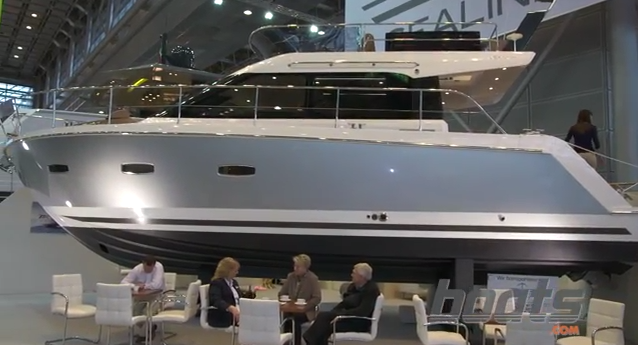 Further forward, the table for six in the living area can be transformed into a sun pad and the sunroof is also equipped with a manual soft-top, which is standard for this series of boats. Down below, the living area is dominated by a large, V-shaped sofa/dinette that converts into a double bed. 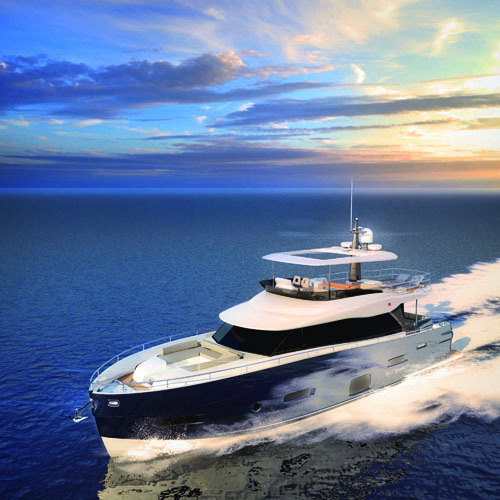 And it is well served by a high-spec galley, with 1.9 metres of headroom, a double hob cooker and an 80-litre refrigerator. The oak wood finishes with lacquered insets are the same as those used in the fleet’s larger models and the lockers, cabinets and wardrobes apparently offer a combined storage volume of more than 1,350 litres. 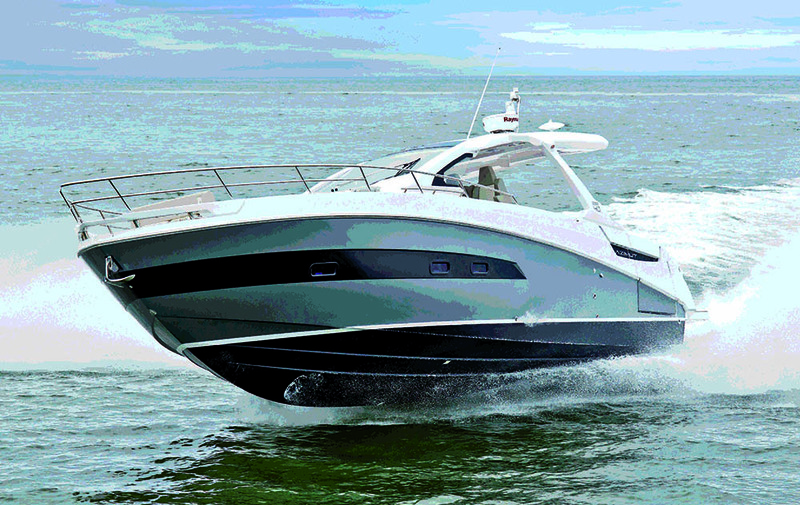 To find out more, either visit www.atlantisyachts.it or see the new 34 on display at the Genoa Boat Show from 06-14 October 2012.